ELEGANT PRIVATE COUNTRY ESTATE. GATED ENTRANCE. CUSTOM CONSTRUCTION. ZONED GEOTHERMAL HEAT AND AC. RAISED CEILINGS, CROWN MOLDING. 2 CAR HEATED ATTACHED GARAGE PLUS 6 CAR DETACHED BRICK GARAGE WITH LOFT AREA, CAN ACCOMMODATE LARGE RV. LED LIGHTING SURROUNDS THE ENTIRE PROPERTY. CUSTOM KITCHEN, OFFICE, NEW TILE, FRESHLY PAINTED INTERIOR. UPDATED MASTER BATH, SECURITY SYSTEM AND SO MUCH MORE! Ready to visit 5732 Aura? Request a free property tour! Send me more information about the listing at 5732 Aura, Virginia Beach, VA 23457, MLS# 10252770. This 4 bedroom, 3 bathroom home located at 5732 Aura, Virginia Beach, VA 23457 has approximately 3,270 square feet. It is currently listed for $685,000 and has a price per sqft of $20,948. This home is currently New Listing under the MLS#: 10252770. This listing is provided by Howard Hanna William E. Wood. 5732 Aura Drive, Virginia Beach was built in 1988. It has Garage Att 2 Car, Garage Det 3+ Car, Off Street, Driveway Spc parking.The kitchen includes Dishwasher, Disposal, Microwave, Elec Range, Washer. 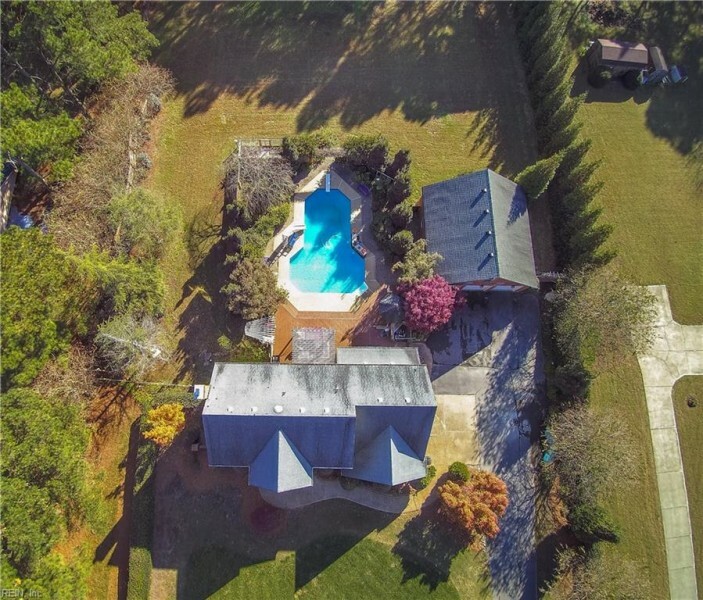 5732 Aura is part of the Pungo neighborhood located in 23457.